Updated Jeep Cherokee delivers style and performance. 2019 Jeep Cherokee in Trailhawk and Limited garb. 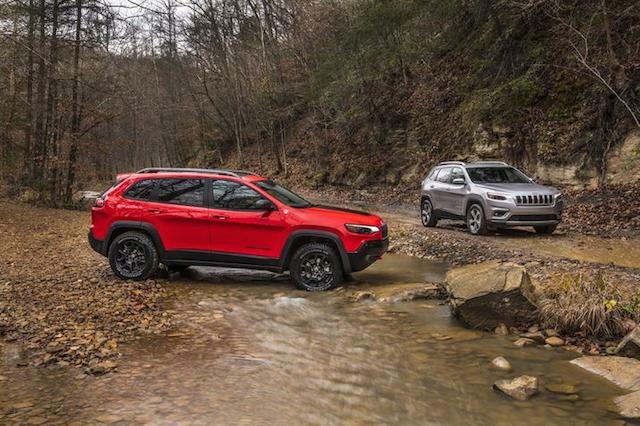 Ever since its 2014 return, the Jeep Cherokee has established and maintained a strong beachhead in the highly competitive small-to-midsize SUV segment. Notwithstanding its polarizing front fascia, the Cherokee has successfully played on both its name and rugged off-road capabilities to stand out. For 2019, an updated Cherokee arrives, delivering a refreshed nose and a new turbo engine to go with it. Jeep introduced the 2019 Cherokee at the North American International Auto Show in January, two months after debuting the all-new 2018 Jeep Wrangler in Los Angeles. Together, the two models should help Jeep stabilize sales after the automaker trimmed fleet sales by 60 percent in 2017, resulting in a double-digit loss in the US market. Overall, Jeep global sales rose in 2017. The refreshed Jeep, now entering its sixth model year brings with it a much more pleasing and streamlined front end, aligning with the style of the smaller Compass and larger Grand Cherokee. Instead of delivering separate lighting elements for the headlamps and daytime running lights, the updated fascia includes both in one assembly. The recognizable seven-vertical-slat Jeep grille is also present as are new fog lights and a new hood. 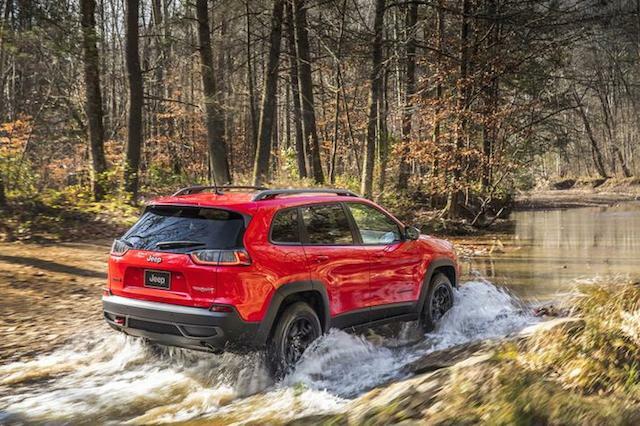 The water-fording Jeep Cherokee Trailhawk. 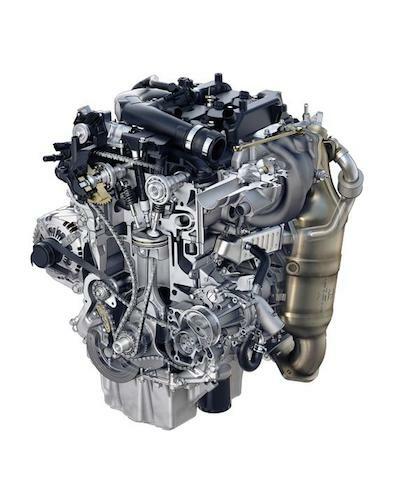 But what’s new under the hood may excite Jeep fans the most. Specifically, an available 2.0-liter turbocharged four-cylinder engine with 270 horsepower and 295 pound-feet of torque expands the engine lineup from two to three. The new engine comes with start-stop technology and joins the standard 2.4-liter four-cylinder engine with 180 horsepower and 170 pound-feet of torque as well as the 3.2-liter V6, generating 271 horsepower and 239 pound-feet of torque. A nine-speed automatic transmission works alongside all three engines; front-wheel drive comes standard, while all- or four-wheel drive can also be had. 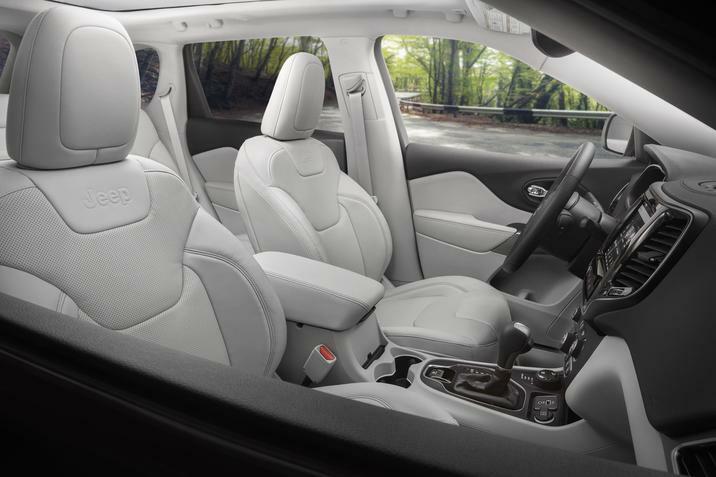 The 2019 Jeep Cherokee offers room for five. The Cherokee’s new turbo engine. Redesigned liftgate. The Cherokee’s lightweight composite liftgate features an integrated light bar with a better positioned release handle. Also, a handsfree option automatically opens same when an individual performs a kicking motion underneath with a key fob in hand. Multiple wheel choices. You’ll find five wheel choices with the 2019 Cherokee, including 19-inch premium polished aluminum wheel on Overland models. Enhanced Active Drive I system. Jeep calls its three “Active Drive” systems “four-wheel drive,” but what you’re getting is an enhanced all-wheel drive system that mimics some of the capabilities of four-wheel drive. The base Active Drive I system features the latest rear drive module, weighing less for improved performance and fuel efficiency. You still have your choice of Active Drive II and Active Drive Lock, the latter with a mechanical locking rear differential. Refreshed center console. Jeep updated the center console to move the media center rearward along with an enlarged front storage pocket, USB port and available 115-volt outlet. The interior also benefits from a pair of new color themes, depending on the trim. Three updated UConnect infotainment systems are also available, including one with navigation. 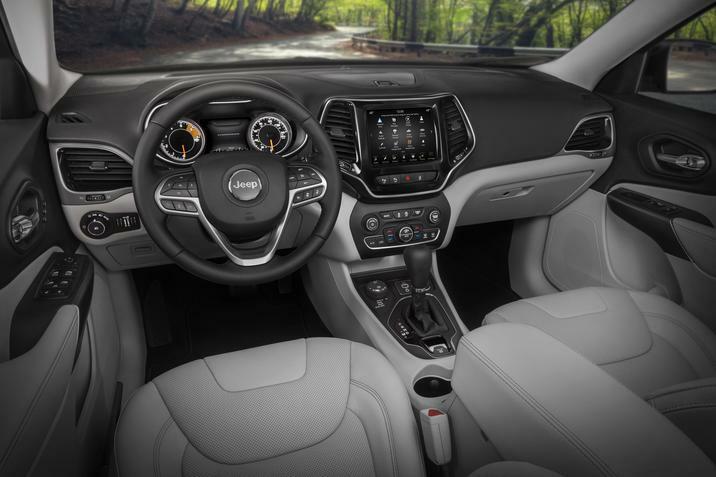 The 2019 Cherokee’s center console offers a fresh design. Jeep has yet to announce pricing for the 2019 Cherokee available in Latitude, Latitude Plus, Limited, Overland and Trailhawk grades. That will soon change as the refreshed model arrives in Jeep showrooms later this quarter. Indeed, production is already underway at Jeep’s Belvidere Assembly Plant in Belvidere, Illinois. The Cherokee’s competitive set includes the Honda CR-V, Ford Escape, Toyota RAV4, Chevrolet Equinox, Mitsubishi Outlander, Hyundai Tucson, Nissan Rogue, Dodge Journey, Mazda CX-5, Subaru Outback and the Kia Sportage. All models offer standard front-wheel drive with available all-wheel drive except for the Subaru with full-time all-wheel drive. 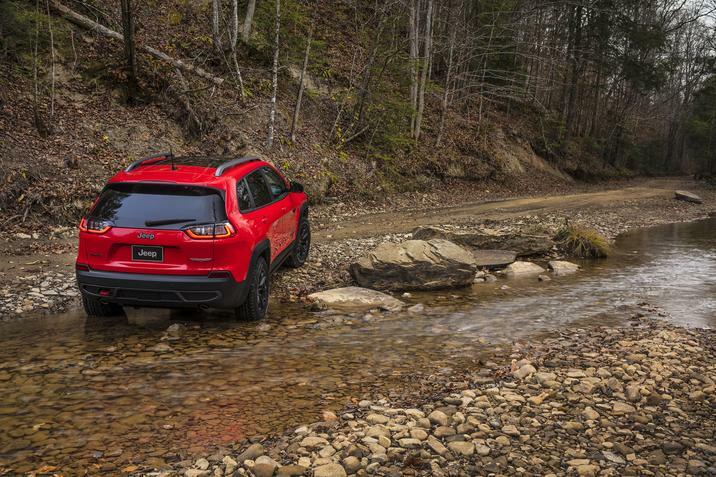 The Jeep Cherokee is the most capable off-roader in the segment. Photos copyright Fiat Chrysler Automobiles.